Note: This is a closed multi-year group and you must have a Facebook account to view. You can now purchase a re-print of John H. Reagan High School yearbooks. The school motto ' Not Without Honor ', was the official school song, and was voiced by students and faculty at the end of a district sporting event, or at pep rallies. John H. Reagan High School is a public, co-educational secondary school in Austin, Texas. It is part of the Austin Independent School District. Reagan High School opened in 1965 and is named for John Henninger Reagan, a 19th century U.S. Senator from Texas. He was a leading 19th century American politician from the U.S. state of Texas. A Democrat, Reagan left the U.S. House of Representatives when his state seceded from the Union to join the Confederate States of America. During the American Civil War, he served in the cabinet of Jefferson Davis as Postmaster General. 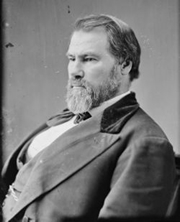 After the Confederate defeat, he called for cooperation with the federal government and became unpopular, but returned to public office when his predictions of harsh treatment for resistance were proved correct. Note: Pearce and Webb Jr High Schools were the two main feeder schools into John H. Reagan High School in the 1970s. Update: The Austin Independent School District (AISD) in 2018 has voted to rename Reagan because John H. Reagan had ties to the Confederacy. A new name has not been announced. The above numbers reflect what we know at this time. ◊ Background music courtesy of Ray Stevens - The Streak.